A t the height of its production, Dutch architecture has come to the point where the main criteria for a project’s success is its compelling concept, which in turn manifests itself through the architectural story. The project questions the capacity of architectural storytelling, which is exactly the topic that should be discussed in this story-based environment. 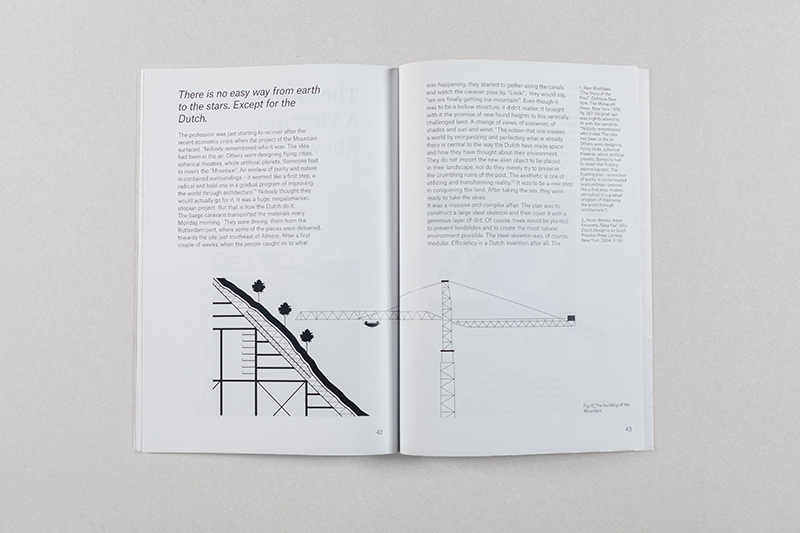 “A Flat Tale” is an exploration of the Dutch visual culture, through architecture as a primary lens of discovery. The project consists of 3 component parts. They represent three levels of complexity of architectural representation as well as three steps in the development and maturation of narratives and architectural projects. 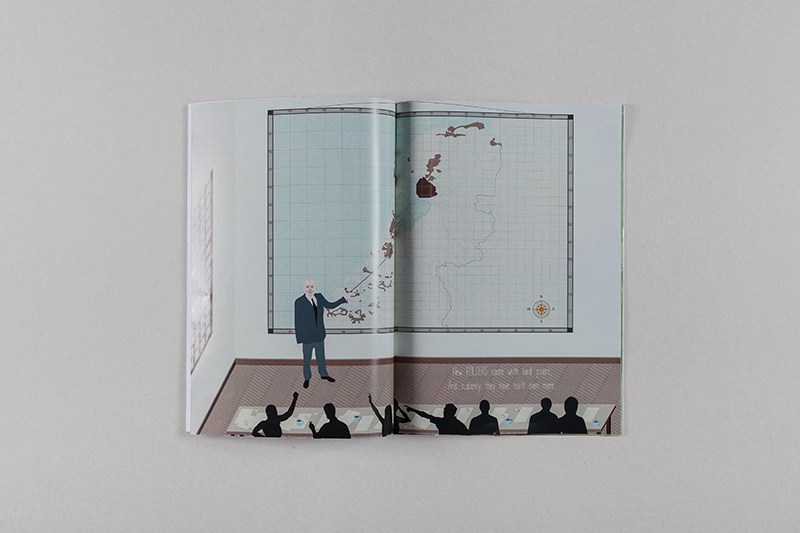 They are based on the investigation of the Netherlands, Dutch architectural projects and narratives. 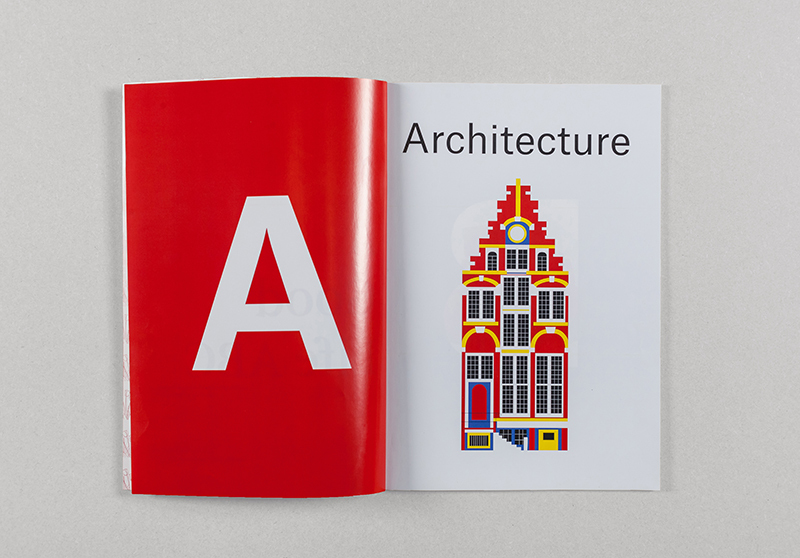 “A Good Life ABC”, establishes the grammar of Dutch architecture. It represents the simplest way of giving and receiving knowledge. Letters of the alphabet are paired with images that form examples of objects and elements of the Dutch built environment. Drawn in a reductive manner, and with the use of only primary colours, these objects form emblematic images, striped of any specificity, that represent only themselves and their Dutchness. 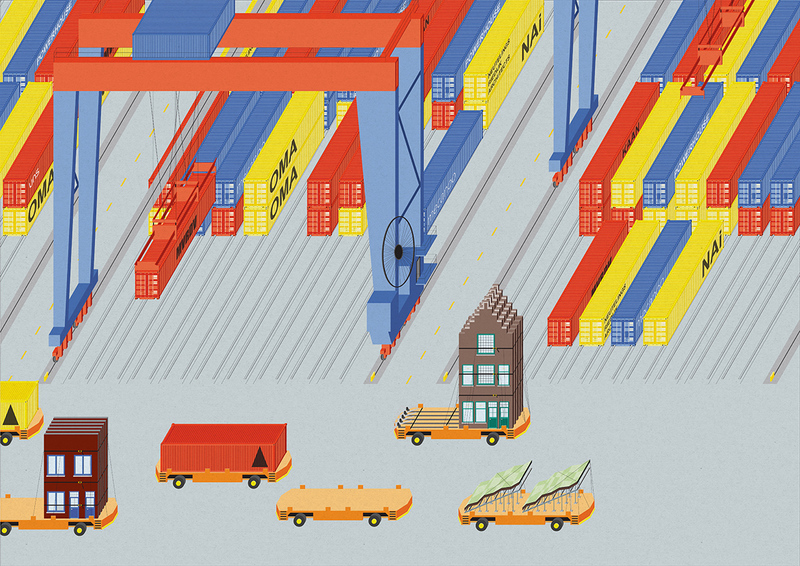 They become symbols of Dutch identity. After establishing the grammar, “A Flat Tale”, forms the syntax. 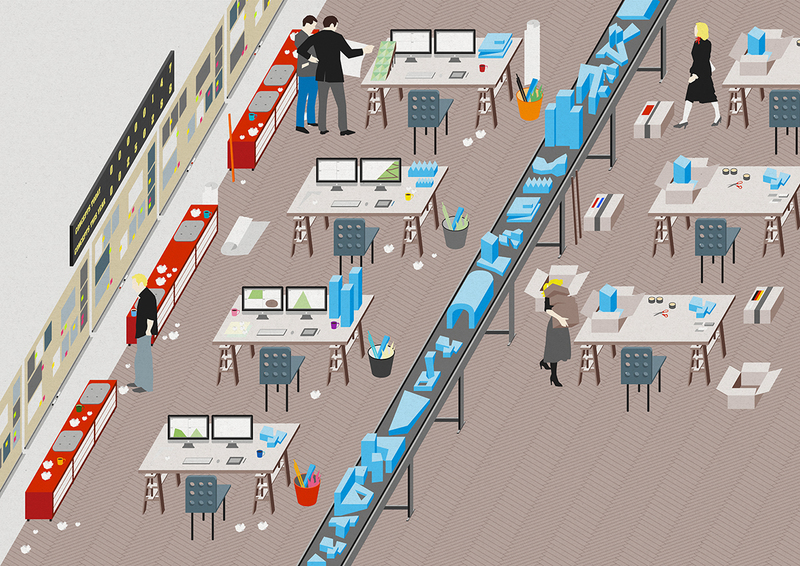 It is an architectural picturebook which uses images to convey spatial narratives, and text to convey temporal ones. Some aspects of the story are made explicit through images and some through text creating a complementary relationship with the two forms of storytelling. This, in the words of Perry Nodelman, results in a relationship between pictures and texts in picturebooks that tends to be ironic where each element speaks about matters on which the other is silent. 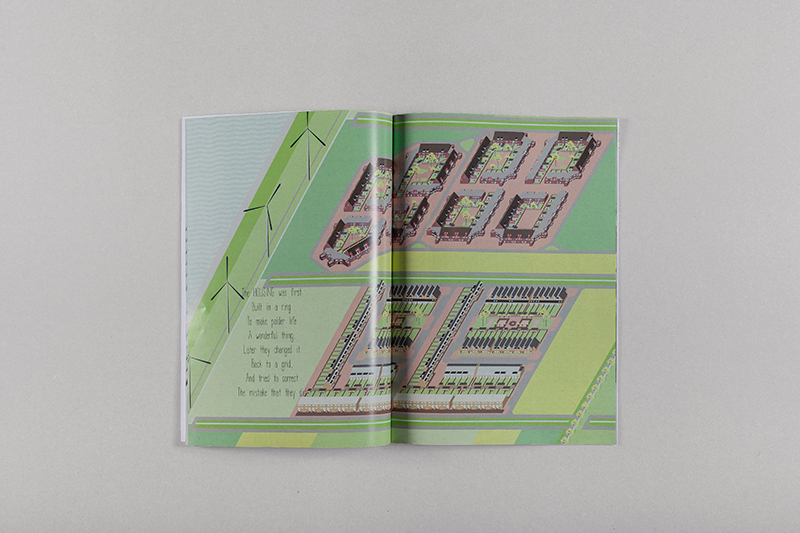 The story is based on the development of Almere and it is used to establish ideas that form generative theoretical elements of Dutch architecture and culture, such as concept, export, identity, welfare, subsidies, etc. The third part represents the most mature phase of developing an architectural idea. 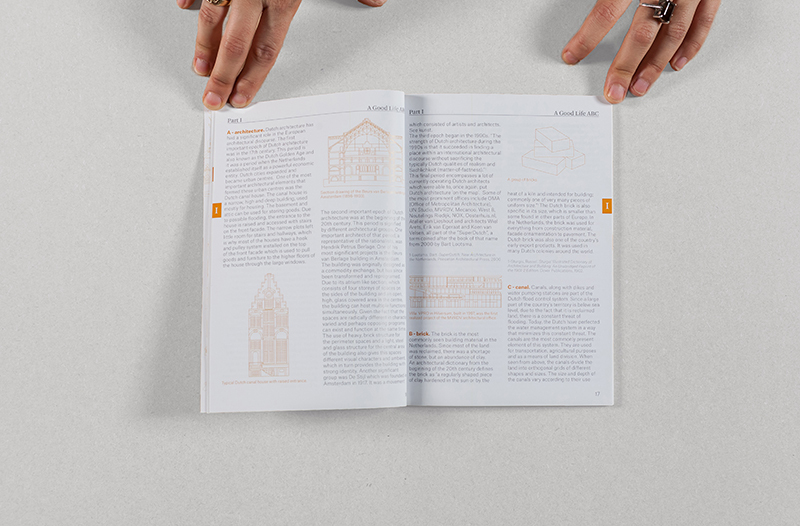 It uses architectural polemic through the format of an architectural journal, titled “Pitch”. 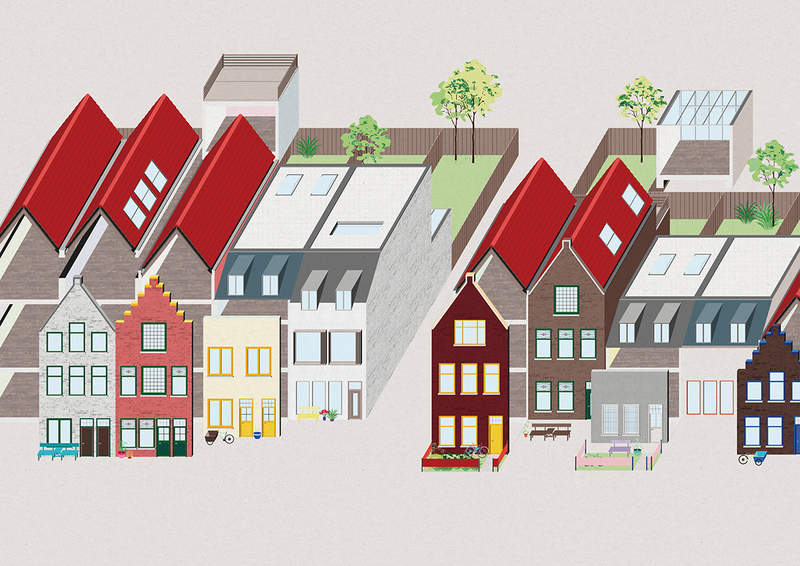 Dutch architectural stories are clear and relatable. Architects do not try to mystify the process through complex semantic constructs, but rather use metaphoric descriptions that allude to known spaces, places and experiences. 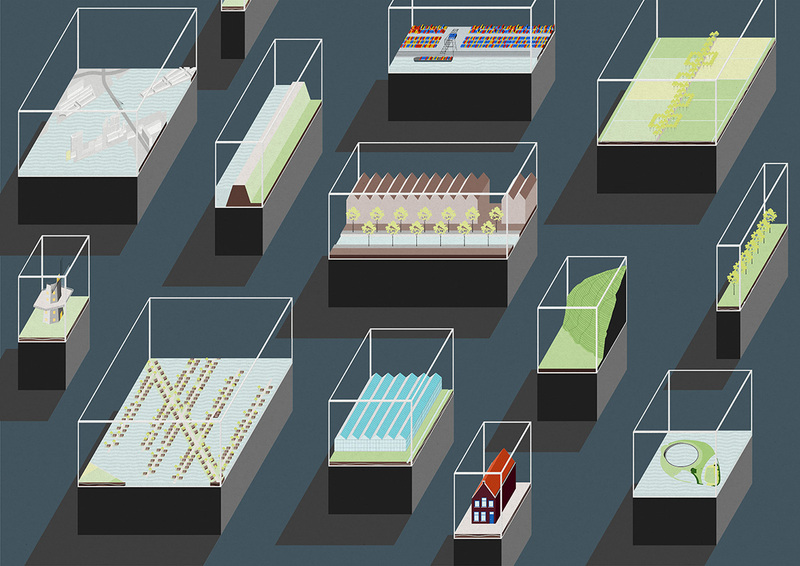 “Pitch” examines Dutch architectural projects through the use of narrative, argumentation and criticism. “Pitch” ends with a fictional project. It is set in an undefined future. It is a utopian, infrastructural, urban and architectural project of a mountain in the Netherlands. 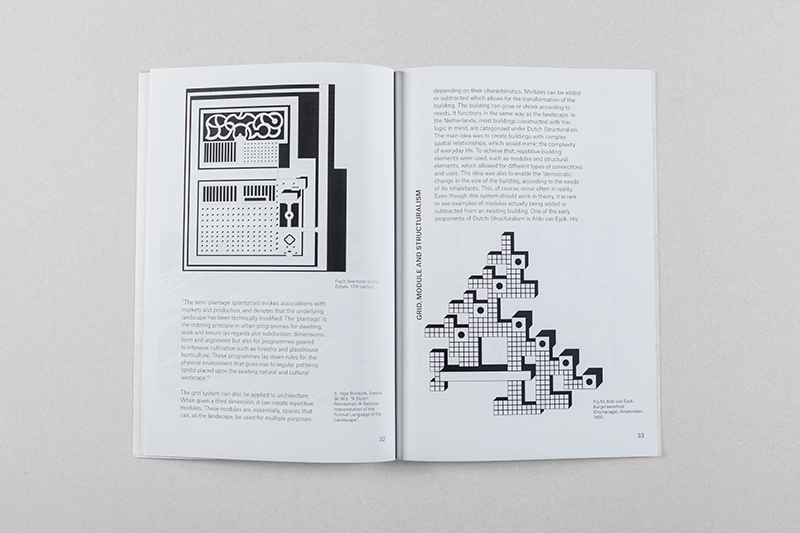 Using only text, diagrams and allusions to the project (in the form of “infiltrators” placed in the first two parts), the project questions and tests the capacity of architectural storytelling. As a conclusion, operations performed in all three parts of the project are compiled and collated in a final appendix. It explains the intentions and interrelations of the drawings and stories, positioning them in their context and the architectural discourse. Approaching the topic of architectural representation through both its lexical and visual qualities allows for the elucidation of three main categories: the diagram and the emblematic object, the architectural design project and its narrative and the architectural essay. Together, the parts represent the symbols, a depiction, a reflection and a story of the construct of the good life in the Netherlands.